Note: All creatures are assumed to be level 1 unless otherwise stated. Triggered Ability: any ability that automatically activates when a certain condition is met. 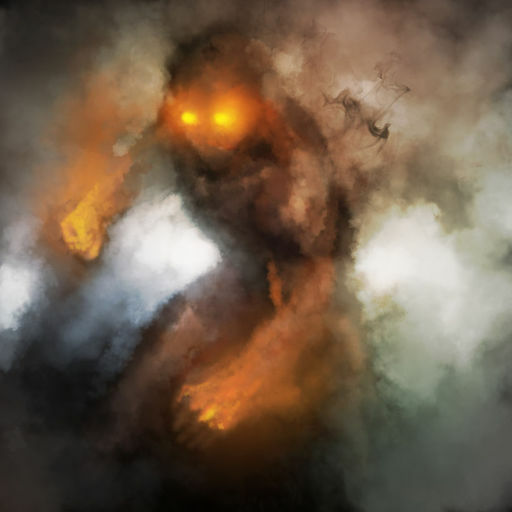 Triggered abilities begin with “When…” Ex: Fell Walker, Vengeful Spirit, Wildwood Sower, Crypt Conjurer, Flameshaper Savant, Ashurian Mystic, Ether Hounds. Basic Spell Resolution: Whenever a creature or spell is played, that card always resolves before anything else. This means that, for example, a Ferocious Roar cast on a Wildwood Sower will never buff the Sapling that gets made by the Sower, because the Roar finishes resolving before the Sower’s triggered ability happens. Note that the very common abilities that read “When NN enters the field…” are actually triggered abilities triggered by the creature resolving, and so do NOT necessarily resolve before other abilities triggered by the creature entering the field. Batch: a set of triggered abilities that were all triggered by the same event (usually a creature or spell being played). Creature and player death is only checked at the end of a batch. Death Check: All creatures with 0 or lower health are removed from the board, and if either player has 0 or lower life, the player with the lowest life loses the game. If both players have the same 0 or lower life total, the game goes to Sudden Death mode, where play continues until one player has a lower life total at the end of a turn. Sudden Death mode persists even if both players go back above 0 life, so it is possible for a game to end with both players over 0 life, as long as one player has more than the other. 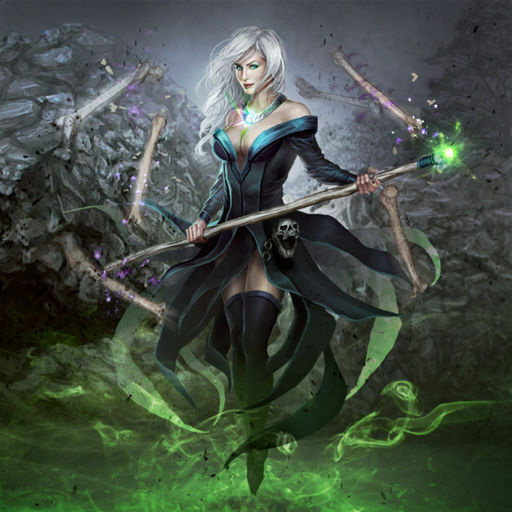 When a creature is killed by a spell that directly destroys that creature (Cull the Weak, Glacial Crush, Dissolve), the batch that forms includes any abilities triggered by the casting of the spell and any abilities triggered by the creature dying (Grimgaunt Devourer, Death Seeker). When a creature is killed by a spell that doesn’t say it destroys a creature (Dreadbolt, Lightning Spark), the creature doesn’t die until the end of the batch formed by the spell, and so any on-death abilities it may trigger resolve in a batch immediately following the spell’s batch. During a death check at the end of a batch, creatures die in the order in which they were killed within a batch. For example, if Lightning Spark kills a creature with 5 health, and Flamebreak Invoker kills another creature from the trigger, the creature killed by Lightning Spark will die first, then the creature killed by the Invoker. If two invokers are on the field facing a creature with 5 health, a creature with 2 health, and a creature with 1 health, and the Spark is played on the creature with 5 health, at the end of the batch, it dies, then the creature with 1 health, then the creature with 2 health. However, none of these creatures’ on-death abilities can save them from dying at the end of this batch. For example, if the non-active player has an Anvillon Arbiter in play, its ability (non-active, untargeted ability) will resolve before anything that requires a target (like playing a Technosmith, which targets a card in your hand), but after abilities that don’t require a target (like allied triggers). This also affects combat situations such as a Vengeful Spirit and a Fell Walker killing each other in combat. If the Vengeful Spirit is controlled by the active player, it will trigger first, doing nothing because there is no creature in the opponent’s lane. If the Fell Walker is controlled by the active player, its ability will trigger first, creating a 3/3 Zombie, then the Vengeful Spirit’s ability will trigger, killing the Zombie as well. 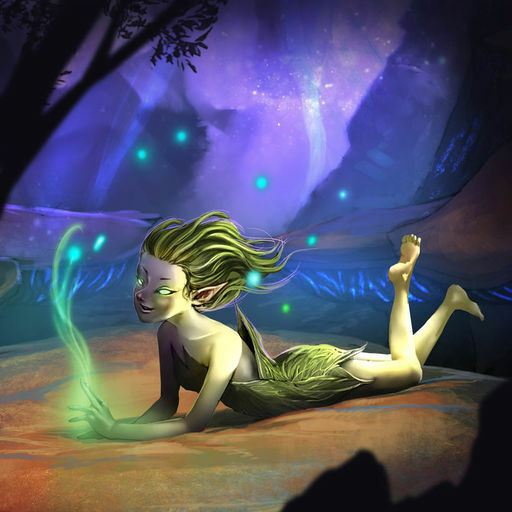 When a batch has more than one triggered ability in the same group above, these abilities resolve in a random order: For example, if a player plays Spring Dryad followed by Weirwood Patriarch (WWP), half the time the Spring Dryad’s ability buffs it to a 4/4 and the WWP’s ability does nothing (because the Dryad has over 3 attack); the other half of the time, the WWP’s ability buffs the Dryad to a 5/5, and then the Dryad’s ability buffs it to a 6/6. Likewise, if the player has a Lifeshaper Savant 2 out and plays an Ether Hounds, half the time that player will have the option to buff the copy of Ether Hounds, and half the time the second Hounds won’t spawn until after the Lifeshaper’s trigger. In most cases, the rule about creature death only happening at the end of a batch makes the random ordering completely unimportant. For example, when a Grimgaunt Predator (GGP) battles a Vengeful Spirit, the end result is always a 4/1 GGP. The Spirit always hits the Predator down to a 5/2, and then when it dies, it triggers two abilities, its own -3/-3 and the GGP’s +2/+2. Even if the Spirit’s ability happens first, making the GGP a 2/-1, it won’t die until the end of the batch, so it will still be buffed back up to a 4/1 before the game checks to see if it’s dead. If a random spawn triggers before a fixed spawn, and randomly chooses to spawn in the same space as the fixed spawn, the fixed spawn will not appear: Multiple creature spawns at the same time can sometimes cause issues if one of the spawns is in a fixed lane (ex: Fell Walker) and another spawn is in a random empty lane (ex: Zimus, the Undying 3). If all spawns are random, there is no problem, they just keep picking empty lanes until lanes are full. If all spawns are into the same spot they died, they obviously aren’t going to conflict. For example, a Zimus 3 and Fell Walker die in the same combat. Half the time, Zimus will randomly be determined to spawn first, and if it does so, it could randomly spawn in Fell Walker’s space. If this happens, the Zombie from Fell Walker will not spawn. Likewise, if a creature moves into a space where a fixed spawn is set to appear (Xithian Shambler’s ability is the only way to do this right now), the fixed spawn will not appear. Discard your hand and draw 5 new cards. If your rank has gone up, your discard pile is shuffled back into your deck. Effects that last until end of turn wear off (Dreadbolt’s effect always ends after the batch where Avalanche Invoker deals damage). Poison and Regeneration: Poison happens first, but both happen in the same batch so death isn’t checked until after the regen has applied. Storm Bringer and Poison: The movement effect on Storm Bringer happens at the start of the turn, in a batch with all other effects that happen then. Even if Storm Bringer dies from poison or from Woebringer, it moves as long as there’s an available lane. The damage effect, however, doesn’t trigger if the Storm Bringer doesn’t survive this batch. Static Ability: a creature ability that is always active. The most common of these are Alloyin attack-boosting effects (Alloyin General, Battle Techtician, but also Oros 4 and Shardplate Behemoth). If multiple static abilities are affecting the same creature, they are applied in left to right order. For example, if a Shardplate Behemoth is to the left of an Alloyin General, its ability first makes its attack equal to its health, then the Alloyin General’s ability boosts its attack, which gives it 2 more attack than health. If the Behemoth is on the right of the General, the General boosts its attack, and then its attack is set to its health, effectively negating the General’s ability. Stat-Altering and Stat-Dependent Effects: Health and attack boosts caused by static abilities are treated no differently than more permanent effects such as Heavy Artillery or Enrage, or temporary effects such as Abraxas and Call the Lightning. Cards and abilities that care about a creature’s health or attack (Turnabout, Dreadbolt, Wildfire Maiden) only care about that creature’s current stats, regardless of how permanent those stats are. In addition, when stat-altering effects end (such as end of turn or when the creature is no longer in a lane), they cause the inverse effect, whether or not that stat boost is still present. For example, if you use Abraxas’ ability on Wildfire Maiden to boost its attack to 8, then use the Wildfire Maiden’s ability, it will deal 8 damage and go down to 0 attack, then at the end of the turn it will go down to -4 attack when Abraxas’ ability ends. Nexus Aeronaut moving into and out of the middle lane will lead to a similar result. Turnabout: The text on Turnabout is a bit misleading. If it causes a creature’s health to go down (because that creature has more attack than health), it deals damage to the creature. This means that the creature’s max health does not decrease, and regen or heal effects such as Mossbeard Patriarch or Verdant Grace can heal the creature back up to its previous health total. Mechanics of Battle: Three separate batches happen when you press the battle button. First, all creatures not on the defensive deal damage to the creature across from them (or the player if there isn’t a creature there), and all creatures on the defensive attacked in this way deal damage equal to their attack back. Damage is dealt in left to right order, so Barrier Soldier’s player armor will prevent damage from the leftmost creature first (which may impact triggers like Oratek Explosives or Oros’s ability), but it all still happens in the same batch. Death is checked right now (but effects caused by creature death will come later, and effects triggered by battle damage still resolve even if the creature dies). Next, a batch of all abilities triggered by damage (Ashurian Mystic, Riftlasher, Oros, Deepwood’s Chosen, Cinderfist Brawler, etc.) resolve, and then death is checked again. Last, abilities triggered by creatures dying resolve (GGP, GGD, Death Seeker, Dr. Frankenbaum, etc. ), also in a batch. Extra Battles: The game does not regularly check to see if you have extra battles. Only a few effects check this: playing Staff of Vaerus, playing Call the Lightning 3, playing any spell with Kas, Arcweaver on the field, having a creature with extra battles (Zyx, Storm Herald, Saberfang, or a creature affected by Staff/CtL3) on the field when you battle, and playing a creature with extra battles. If there are no creatures that can battle additional times when this effect happens, you don’t get any additional battles that turn unless a later effect forces another recheck. As a result, playing a creature without aggressive, battling, then playing Staff of Vaerus followed by Lightning Brand does not let you battle additional times, but playing the Lightning Brand first, followed by the Staff does. A creature that was on the defensive (or has defender) through combat gets to essentially “redo” its primary battle step if it later is on the offensive and you play an effect that checks for extra battles. A creature that wasn’t on the field during the primary battle step doesn’t get to, even if the game checks for new battle steps. From the previous example, playing the creature before battle leads to 2 extra battle steps, while playing the creature after the normal battle leads to only a single extra battle step. Player Death During Combat: Because player death is checked at the same time as creature death, this means that Oros’s life gain can’t save you from dying if the initial attack would kill. It will, however, save you from the extra damage when a Cinderfist Brawler hits you. Cinderfist Brawler’s extra damage will, in turn, kill a player before Glowhive Siren can heal that player, and Riftlasher’s or Flameblade Champion’s abilities can kill a Grimgaunt Devourer before it gets the buffs from creature deaths. Cercee, Hand of Varna 4: Her ability chooses how much damage to deal when it resolves. This means that if one player has Cercee hitting a player, and the other player has Oros gaining life, the game is decided by whose turn it is. If Cercee is on the active player’s side, her ability triggers first, bringing the non-active player down to 0 life, then Oros gains life in the same batch, so the result is that the non-active player ends up with total life equal to the amount that Oros gained. If Cercee is on the side of the non-active player, Oros gains life first, then Cercee kills the player. Glowhive Siren, being a creature death effect, cannot save the player from Cercee, since its effect is in the next batch. Dr. Frankenbaum and Yuru, the Necrosage: Both Frankenbaum and Yuru always trigger off of every valid creature that dies at the same time as them, including in combat. However, they only trigger off of creatures that die before or at the same time as them during a death check, even if another creature dies in the same death check. See above rules on death checks. Grimgaunt Doomrider: This card merits its own section because of how unusual its ability is. When a creature dies on its side of the field, its ability triggers. If, when its ability resolves, the space that creature died in is available, the creature across from that space gets a debuff. If Doomrider is still alive at this point (which may not be the case if it died in the same batch but after the creature it’s triggering off of), it moves to the dead creature’s space and gets its buff. Like Stormbringer, if it’s dead at this point, it will not trigger Fervent Assault or Frostfang Maiden; but unlike Stormbringer, it will also not move to the new space. In cases where the Doomriders are alive when their abilities resolve, if multiple Doomriders trigger off of the same death, only one of them (chosen at random) will be able to move, debuff, and buff itself. Also note that, like everything else, the active player’s Doomrider triggers will resolve before the inactive player’s. If Doomrider’s effect resolves after it has died, it will give the debuff, but nothing else will happen. If, for example, a Burnout kills a creature, and Flamebreak Invoker triggers kill two Doomriders in the same batch, because the other creature dies first, the two Doomriders will both trigger, and after they have died, their abilities will resolve. Because the space is available and neither Doomrider is alive to move into it, the creature across from it will get debuffed by both Doomriders. Lyria, Muse of Varna: Lyria can make a copy of any creature that has died. Every time a creature dies (even Zimus 3 dying), another copy of that creature is added to the list of creatures Lyria can copy, and so increases the chances that it will be brought back. At level 3, Lyria’s ability brings back up to 4 creatures in a random order, so if it were to bring back 4 copies of Spring Dryad, they would be (in a random order) a 3/3, 4/4, 5/5, and 6/6. Lyria 3 can also copy the same creature more than once. Varna’s Pact: Pact works exactly like Lyria when choosing what to make a copy of. Unlike Lyria, however, Pact brings back creatures simultaneously. So if Pact 3 brings back 3 Spring Dryads, they will all be 5/5s. Tarsus Deathweaver: If multiple Deathweavers enter the field not from your hand simultaneously (i.e. through Varna’s Pact), they will buff each other, just like Spring Dryads. They will also buff other creatures that enter the field at the same time. Suruzal, Emissary of Varna: Suruzal’s ability now functions intuitively. The targeted creature is destroyed, then a new copy of it is put into a random lane. Note that these effects both happen in the same batch. Grimgaunt Doomrider’s ability, for instance, will never conflict with the respawn because the new creature will always appear before Doomrider’s ability resolves, so if the creature spawns in the same lane, Doomrider will never move, otherwise it will always move. At the very end the charnel titan reference doesn’t make any sense, as charnel titan can never trigger itself. Is this a mistake or am I reading it wrong? Charnel Titan only looks at opponent’s creatures. The point is that it triggers only when it enters the field if a certain condition is met. Obviously Charnel Titan doesn’t trigger based on the same condition as Deathweaver, but it, like Deathweaver, comes into play, then checks a condition to see if it gets a buff. Likewise, Deathweaver put into play by Lyria or Pact comes into play, then checks to see if a certain condition was met (it coming into play not from a hand), and if true, buffs itself. Thanks this is awesome. Clarified several things I was still confused on. Anywho, this was amazing of you to do. This is the kind of stuff the community needs. Was this wording confusing? The end result is that player’s final life total is the amount that Oros gained, so if Oros hit for 6, the player ends with 6 life. I’m with Kit. The wording makes sense, it’s just a bit clumsy. Your reply has it worded better. You’re missing a qualifier. The sentence definitely isn’t making sense like it is. It’s not that you have to explain it to me, it’s that the sentence is incomplete. “Player with the amount of life oros gained” isn’t a “result” it’s a statement that needs to be qualified. *the net result —favors— the player with the amount of life Oros gained* for instance. I could also see you wording it closer to your response statement, as you actually state a clear result in that one. the problem is “the player with the amount of life Oros gained” you’re not explaining what they do. sorry to boggle down your comments though, just trying to be clear. More comments = more hits! Keep ’em coming! Stormbringer: The movement effect on Stormbringer happens at the start of the turn, in a batch with all other effects that happen then. Even if Stormbringer dies from poison or from Woebringer, it moves as long as there’s an available lane. The damage effect, however, doesn’t trigger if the Stormbringer doesn’t survive this batch. If Cercee is on the active player’s side, her ability triggers first, bringing the non-active player down to 0 life, then Oros gains life in the same batch, so the result is that the non-active player ends up with total life equal to the amount that Oros gained. Great article and thanks for the hard work! Unless this was changed fairly recently, at the start of the game it chooses left to right or right to left. For the example given (which is actually how I know) if springleaf dryad is to the left of weirwood patriarch and it gets double buffs, it will get double buffs for the remainder of the game if it’s to the left. Hmm, that is good to know, I always thought it was random. Though it sounds similar to the reference to Dr. Frankenbaum in the article, I wonder if they were both recently changed. Some playtesting will now be required!! This is incorrect. I did extensive testing on this, including paying attention to lane placement, when WWP first came out, and have since tested this again several times (including just now) with the same conclusion: triggers are completely random. You can test this yourself with Spring Dryads and WWPs. I have also used 2 power creatures with Dryad’s Boon to the same effect, but I chose to stick to strictly Spring Dryads for consistency. I have seen two Spring Dryads, both 3/3s (thanks to Contagion Surge) on the same side of a WWP end up a 4/4 and a 6/6. I have also seen Spring Dryads on opposite sides both end up the same size.